Indigenous regional transport aircraft is the next aim, said the architect of Tejas, the Light Combat Aircraft (LCA), Kota Harinarayana, who now holds the D.S. Kothari Chair at Aeronautical Development Agency, Bangalore. Dr. Harinarayana hails from Berhampur in Odisha and was on a visit to his home State and town. Speaking to newsmen during an informal chat in the city, Dr. Harinarayana said now his dream was research in the field of the regional transport aircraft, so that air communication could have greater reach and smaller destinations could get connected by air traffic. The project to develop indigenous regional transport aircraft was expected to cost around Rs. 5,000 crore. Dr. Harinarayana hoped that the coming new government at the Centre would approve the project. The project envisions building up aircrafts suitable for air traffic inside the country. Dr. Harinarayana said it should have 70 to 100 passenger carrying capacity. There should be extra thrust on making this proposed project easy to manage with cheaper operational cost and most important was it should be able to operate from small air fields, he added. Speaking on the LCA Tejas, he said by end of March Hindustan Aeronautics Limited (HAL) would deliver two Tejas to Indian Air Force. Next year six more LCA would be delivered. He said the Indian Navy has also placed orders to procure Tejas. He said they were also trying to develop a more powerful engine that would power the second variant Tejas Mark II, which may take few more years. “Our team is also making efforts to prepare indigenous mature engines for our LCA, which may take another five to six years. 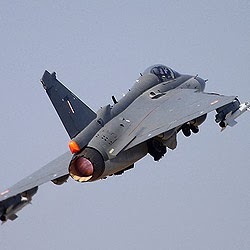 As the Tejas is a single engine aircraft, no chances can be taken,” he said. He said radar was incorporated in the Tejas to serve as jamming equipment and anti-jamming equipment to dodge the enemy. “We want to reduce the radar signature of the Tejas as much as possible,” he said. Apart from it, the Tejas would be attached with precision guided missiles and bombs. Speaking on the state of infrastructure for research and development in aviation in India, Dr. Harinarayana said it was on par with countries of Europe but yet to reach the standards of United States of America (USA), which has mastered stealth technology. “Our next generation aircraft may have stealth technology,” he said.